Chambray makes for great shirts, and even looks similar to denim. If you’re asking yourself, “is chambray actually denim?”—the answer is, not quite. While chambray does share common elements with denim, its similarities are also, oddly enough, what makes it unique. Allow us to explain. 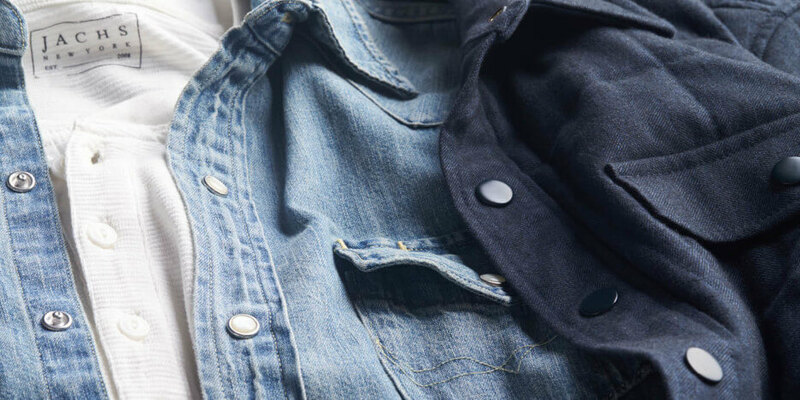 Keep reading to learn the differences between chambray and denim. 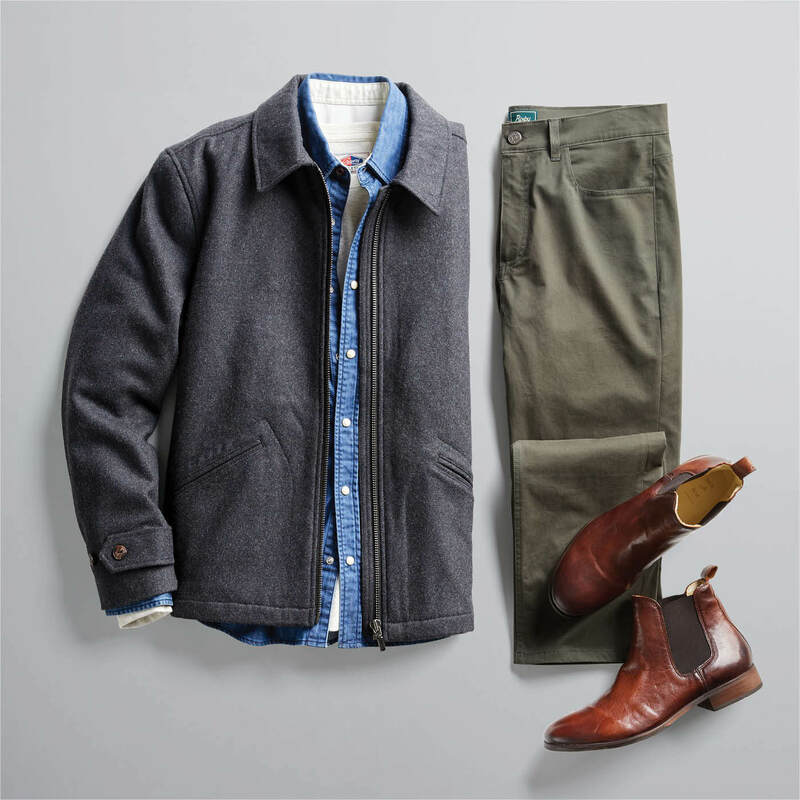 Chambray and denim share some fundamental commonalities: They’re made by weaving cotton fabrics together. So, right off the bat, you can see they’ve got the same roots. Now here’s the kicker: it’s not the fabric that distinguishes them—it’s the construction. Chambray uses what’s called a plain weave, which involves single strands of colored and white thread being woven together. Now, don’t let the ordinary name fool you—a plain weave is plenty strong. It’s even used for furniture fabrics (which is why couches don’t rip when you and your buddies weigh down on them). Denim, on the other hand, uses a twill weave. This technique doubles the strands of thread and weaves them into more of a diagonal pattern. It’s because of its heavier ruggedness that denim doesn’t find itself used in shirts as often as chambray. We get it—a lot of guys just don’t want to wear their pants up top. By comparison, chambray is quite versatile. It’s lighter touch makes it perfect for spring and summer―but its strength also makes it a nice go-to piece for colder seasons. A chambray shirt is the quintessential all-season, everyday basic. 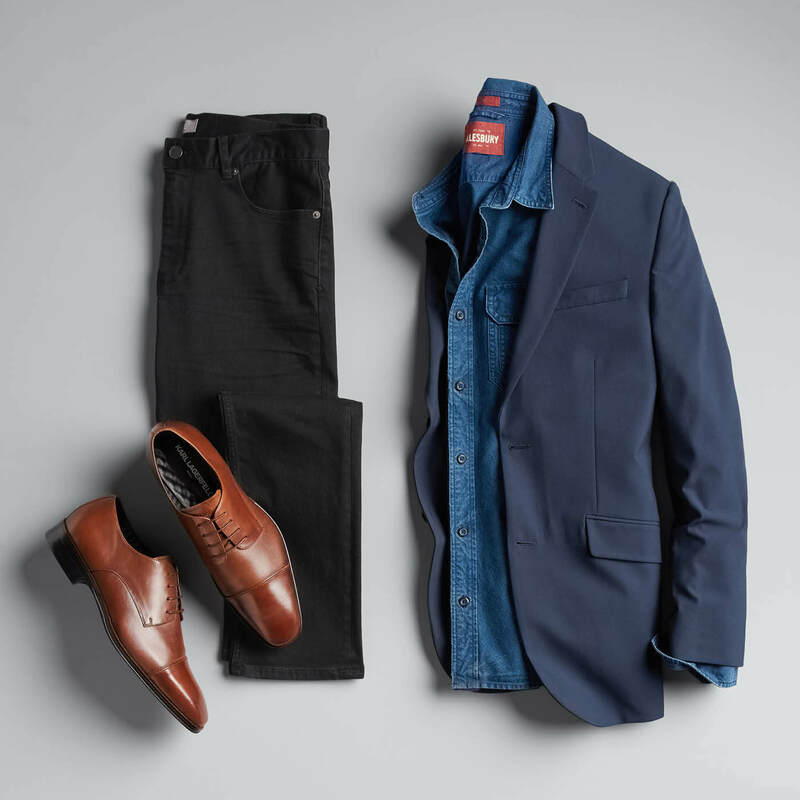 You can wear one with any pair of jeans or khakis, and their availability in different colors elevates them above the traditional Oxford button-up. Just be careful when you wash these puppies—turn them inside-out to avoid a quick fade. Chambray is amazing―but don’t diss denim. 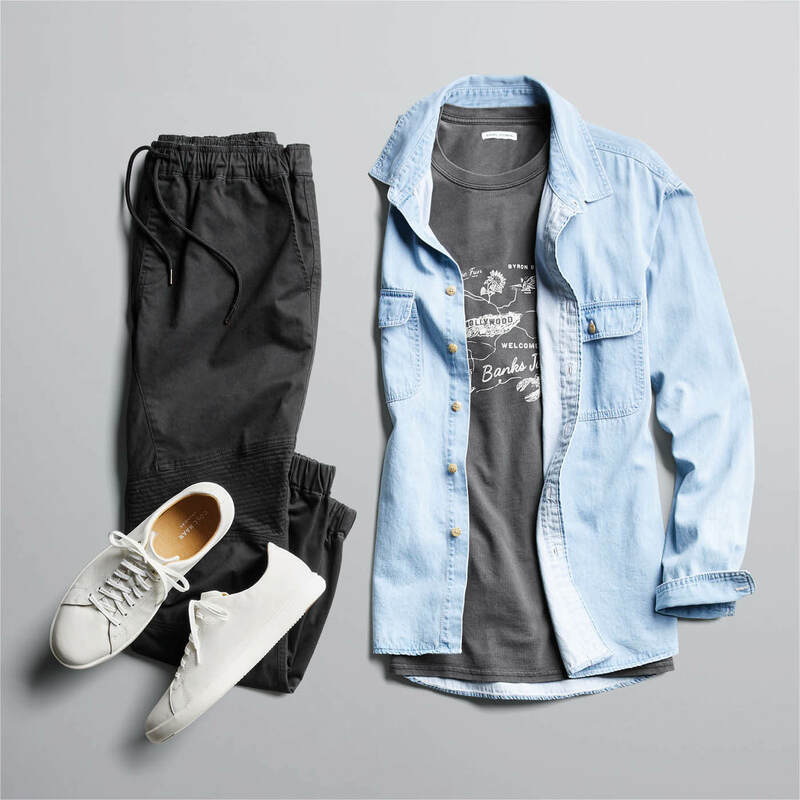 Denim shirts have become a go-to option for more settings these days, from work to weekend. They’ve also been updated from burley to more lightweight styles, making them wearable for all seasons. 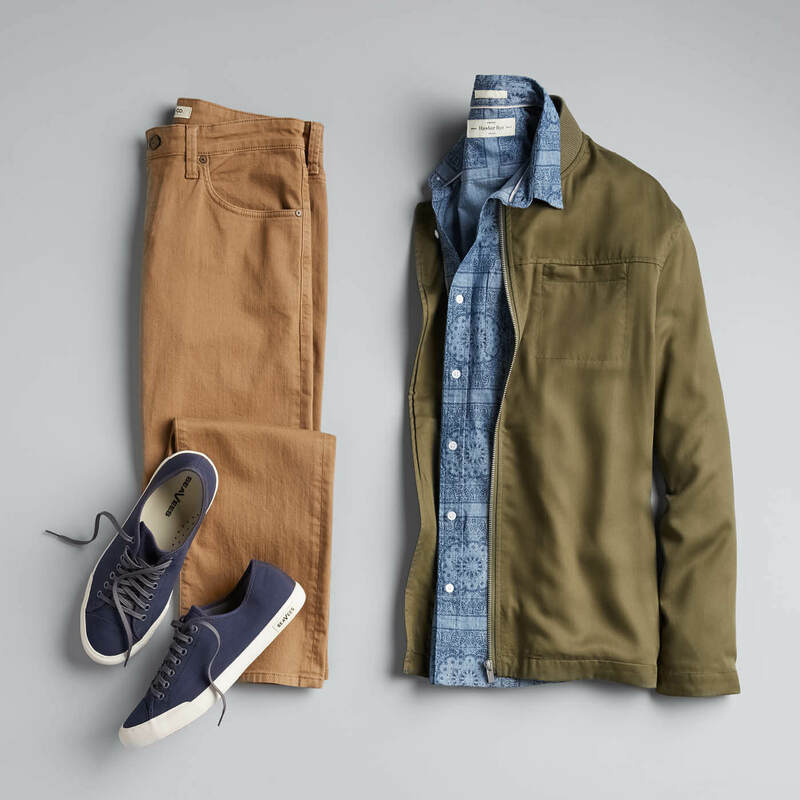 Pair your shirt with khakis or a jean―in a different wash, please―to avoid the Canadian Tuxedo look. As far as care goes, it’s best to hand wash denim inside-out to avoid bleeding from the dyed fabric. Need help finding the right chambray or denim pieces? Schedule a Fix and we’ll find the best ones for you.